✭ Edgar Allan Poe ~ Fans of the influential storyteller will welcome "Edgar Allan Poe: Terror of the Soul" opening October 4 at The Morgan Library & Museum in New York City. Drawn from The Morgan's own holdings, the Henry W. and Albert A. Berg Collection of English and American Literature at The New York Public Library, and several private collections, the exhibition will take a thematic look at Poe's fiction, poetry, and literary criticism. Among the more than 100 items that will be on view are manuscripts of short stories and poetry, correspondence, and early print editions of The Cask of Amontillado, Tamerlane, and The Raven. Visitors will be able to see The Bells and Annabel Lee in Poe's own hand. A part of the exhibition related to Poe's contemporaries will showcase Sir Arthur Conan Doyles's The Hound of the Baskervilles, Robert Louis Stevenson's The Strange Case of Dr. Jekyll and Mr. Hyde, and Oscar Wilde's The Picture of Dorian Gray. The exhibition will continue through January 26, 2014. ✭ J. D. Salinger ~ The Morgan also is showing, through January 26, 2014, "'Lose not heart': J.D. Salinger's Letters to an Aspiring Writer". This is the first public showing of correspondence between Salinger and aspiring Canadian writer Marjorie Sheard. The Morgan acquired earlier this year Salinger's letters and postcards sent to Sheard between 1941 and 1943. ✭ Homer ~ The epic poem The Odyssey by Homer was the inspiration for artist Romare Bearden's marvelous A Black Odyssey, a series of collages and watercolors on view through November 24 at The Chazen Museum of Art, Madison, Wisconsin. Produced by the Smithsonian Institution Traveling Exhibition Service (SITES), the exhibition showcases approximately 50 works, including line drawings, that reveal Bearden's exploration of the classic literary narrative and how he interpreted it. Exhibition-related programming includes a symposium, "Romare Bearden's Black Odyssey and the Quest for Self-Definition", on November 2; an invitational reading on November 7 by Wisconsin poets of original work inspired by the exhibition; and, on November 14, dramatic readings involving students of the University of Wisconsin's Department of Theatre and Drama. Go here for additional information about the planned events. ✭ Children's Book Authors ~ Continuing through March 23, 2014, at The New York Public Library is "The ABC of It: Why Children's Books Matter". ✭ Henry Wadsworth Longfellow ~ You don't have to leave home to see "Public Poet, Private Man: Henry Wadsworth Longfellow at 200", Harvard College Library's Web version of an exhibition curated by Longfellow scholar Christopher Irmscher. The celebration of the poet's 200th birthday is long over but the material in this excellent online exhibition is new to any first-time viewer. ✭ Philadelphia Writers ~ Terminal A East at Philadelphia International Airport is the location of the year-long visual overview of the creativity of 50 authors, poets, and playwrights who were born in or have lived a period of their lives in the Philadelphia area. Organized by Leah Douglas, director of the airport's Exhibitions Program, "Philadelphia's Literacy Legacy" opened in early July. Douglas made her selections from lists of names submitted by librarians from the Free Library of Philadelphia. Among those represented in the exhibition are Benjamin Franklin, Louisa May Alcott, Pearl S. Buck, Sandra Boynton, and David Wiesner. high to climb but for one branch, bending. This poem is my response to today's photo prompt at Magpie Tales, the Mark Haley image above. 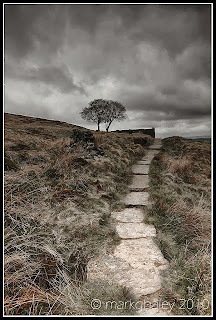 Go here to read others' contributions or to drop a link to your own poem or flash-fiction post. My thanks both to Tess Kincaid and Mark Haley. This quote is the last line of Gluck's poem "Celestial Music". Have you ever wondered how New York City's carbon dioxide emissions might look if visualized? Today's animated short from Carbon Visuals shows a single day's emissions — 149,903 metric tons (2010 data)! It's just the kind of presentation that's needed to draw attention to, improve understanding about, and perhaps, if we're lucky, spur efforts to do something about climate change. ✦ If you're looking for an arts education resource, you might start with The Kennedy Center's ArtsEdge, a free, virtual "educational media arm, reaching out to schools, communities, families, and individuals with printed materials, classroom support, and Internet technologies." The site offers a dedicated Families Portal, in addition to arts lessons and projects, how-to guides, and a digital library of images, audio stories, music, video, and interactive multimedia. ✦ You don't need to be engaged in scholarly research to appreciate the Rauschenberg Research Project launched by the San Francisco Museum of Modern Art. The online resource offers a wealth of materials on the great artist Robert Rauschenberg (1925-2008), from images and other information on more than 85 artworks in SFMoMA's permanent collection, to essays, interview footage, artist statements, and conservation reports. Consult the User Guide from anywhere in the world. Access is free. ✦ Award-winning fine art photographer Fabiano Busdraghi has documented in brilliant images the landscapes of Antarctica; some of his evocative photographs are like abstract, minimalist paintings. His large-format shots of building facades are a collage of cubes and grids. ✦ The Public Domain Review introduced recently a new series called "Curator's Choice". Appearing on the first Tuesday of each month is a guest post from a curator of a gallery, library, archive, or museum and his or her reflection on a group of works in the one of the institution's open (i.e., entirely public domain) digital collections. ✦ Harwood Museum of Art at the University of New Mexico, Taos, is to be the recipient of panoramic photographer Gus Foster's collection of more than 300 works by contemporary artists, among them Ken Price, Lynda Benglis, and Vija Celmins. See "Harwood Announces Major Gift of Contemporary Art". ✦ Colby College Museum of Art, Waterville, Maine, has received the impressive and important Lunder Collection, which includes hundreds of works by James McNeill Whistler alone, as well as paintings by John Singer Sargent, Mary Cassatt, and Winslow Homer. Assembled by Peter and Paula Lunder and given as a gift to the museum, the collection is strong on contemporary artworks, a number of which already are on display. Among the contemporary artists are Kiki Smith and Maya Lin. The museum's new Alfond-Lunder Family Pavilion, which opened in July and comprises 10,000 square feet of exhibition space, expands total gallery space to 38,000 square feet; with total space (including education/storage space) now at 64,000 square feet, the museum is the largest in Maine. Admission is free. Installing Wall Drawing #559 by Sol LeWitt from Colby College on Vimeo. ✭ The eighth in an ongoing series, "Piece Work" opens October 3 at Maine's Portland Museum of Art. The juried exhibition, which will run through January 5, 2014, showcases new or recent work by living artists. The list of artists selected for the biennial was announced in July. ✭ Continuing at Akron Art Museum is "With a Trace: Photographs of Absence". On view are images by Christopher Bucklow, Margaret De Patta, Adam Fuss, Alison Rossiter, Minor White, and Hiroshi Sugimoto. The exhibition concludes January 26, 2014. ✭ The Art Museum at the University of Kentucky, Lexington, opens "Innovators and Legends: Generations in Textiles & Fibers" October 13. An exploration of the emergence of fiber arts as fine art, the exhibition will include work by international and North American masters and artists relatively new to the field. The show will run through January 5, 2014. ✭ The work of tattoo artist Amund Dietzel (1891-1974) is on view in "Tattoo: Flash Art of Amund Dietzel" at Milwaukee Art Museum. ("Flash" refers to drawings of tattoo designs.) Drawn from the Solid State Tattoo Collection, the exhibition, continuing through October 13, celebrates Dietzel's arrival in Milwaukee in 1913. Dietzel is the subject of collector and Milwaukee tattoo artist Jon Reiter's two-volume catalogue These Old Blue Arms: The Life an Work of Amund Dietzel (2010). Curated by David Russick with Reiter as guest curator, the exhibition is the first of its kind at MAM. ✭ More than 60 watercolors, selected from among hundreds painted en plein air in Italy in the summer of 2011 by Wyatt Waters, will go on view October 12 at Mississippi Museum of Art, Jackson. Waters went to Italy with food writer-restaurateur Robert St. John to research their book An Italian Palate, which will be published this fall. The exhibition will conclude January 12, 2014. I read a lot over the course of week and can't always find room in my regular art columns for items that deserve a shout-out. Following are seven I've come across recently. ✦ Telling The New Yorker he "got tired of writing poems, of trying to make sense—verbal sense", poet Mark Strand began making collages. He has a show of them at Lori Bookstein Fine Art in New York City. If you're lucky enough to be in the Big Apple between today and October 5, go see these wonderful artworks. Read Strand's interview. His comment about the "immense pleasure" he gets "cutting and tearing paper. . . as if I were in kindergarten again" shows a playful side that we all might cultivate. ✦ Nanoart: The Immateriality of Art (Intellect/University of Chicago Press), by Paul Thomas, was published earlier this year. Thomas, head of painting at the College of Fine Arts, University of South Wales, provides an overview of the history of nanoart as traced from the time (and in the work) of Umberto Boccioni to today. 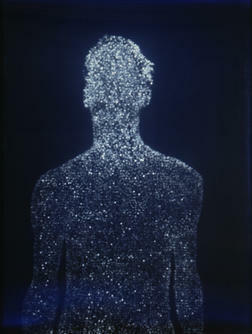 He also gives attention to art inspired by research into nanotechnology. Nanoart, which Thomas emphasizes is not a scholarly work but intended "to explore ideas, thoughts, and concerns from [his] experience as an artist", is available in print and as an e-book. ✦ Australian Lynne Roberts-Goodwin is the recipient of the 2013 Hazelhurst Art Award, a competition in "outstanding art created with, on, or about paper." Roberts-Goodwin's as the sky FALLS through five fingers #131, won out over more than 90 other short-listed finalists for the prize. ✦ Founded in 1998, ArtsSmarts is a national organization that works with its partners across Canada to deliver arts programs in schools. Its core mission is to support, promote, and demonstrate the beneficial effects of arts programs and activities in helping students learn and prepare for life in the 21st Century. More than 300 communities across the country engage with ArtsSmarts. 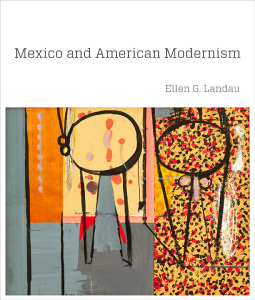 ✦ Yale University Press published Ellen G. Landau's Mexico and American Modernism this past spring. 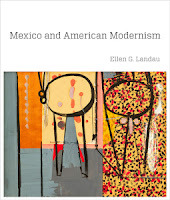 Landau, Andrew W. Mellon Professor of the Humanities, Case Western Reserve University, examines how the relationships of Philip Guston, Robert Motherwell, Isamu Noguchi, and Jackson Pollock with Mexican muralists, expatriate Surrealists, and leftist political activists of the 1930s and 1940s influenced the direction of the former artists' work. Yale ARTbooks blogger Caroline Hayes interviewed Landau for a Yale Press Log feature in June. ✦ Basil Hall Editions makes prints with hundreds of artists from across Australia. It wholesales its prints to galleries and sells prints directly from its studio and Website, and at art fairs and exhibitions. Works include etchings, drypoints, monoprints, screenprints, linocuts, and woodcuts. Collectors take note: BHE publishes a wonderful series titled Collectors' Folios. I've seen some of the prints from the most recent (and sold out) collaboration with indigenous artists; the series is superb and affordable. ✦ The platform Transartists is a one-stop resource for information about artist-in-residence programs. It also covers artist tools and services, art education, funding, festivals, and art competitions, and includes a section, Offered & Wanted, where artists can exchange information about studio swaps, workshops, or other activities. What could be more wondrous than fog? Simon Christen's Adrift honors the mysterious and the magical with this lovely short that took two years of early-morning risings to photograph. Christen calls it his "love letter to the fog of the San Francisco Bay Area." The film's score is by James LaValle of the band "The Album Leaf". This "found poem" is crafted from words in the text of the final pages of David Foster Wallace's The Pale King (Back Bay Books, Reprint Edition, 2012). Today's post is another in an occasional series that aims to offer something you might not know about poets and poetry. This edition includes facts about poets' birthplaces and homes. ✦ The residences of more than a dozen U.S. Poets Laureate have been photo-documented by poets Dan Vera and Kim Roberts for their continually augmented Website DC Writers' Homes. In addition to the image and the address of each of the poets' homes, a brief biographical profile is provided. Site users can search alphabetically by author or check the categories sections that include geographic region, neighborhood, and affiliations. ✦ Georgia poet Sidney Lanier (1842-1881) was a highly regarded musician. He played the piano, flute, piano, organ, violin, banjo, and guitar, and held first chair flute in the Peabody Symphony Orchestra in Baltimore, Maryland, for seven seasons. He also was awarded a federal commission to compose a cantata for the centennial celebration of the United States, which took place in Philadelphia in 1876. Visitors to the beautiful 1840 Sidney Lanier Cottage, Macon, Georgia, a National Poetry Landmark, can see a rare alto flute that Lanier played in Baltimore. ✦ The longest bridge in Georgia is Brunswick's Sidney Lanier Bridge, which is 7,780 feet long and 486 feet high. ✦ Robinson Jeffers (1887-1962) apprenticed himself to the contractor hired to build "Tor House", his home in Carmel, California, but he alone constructed the outbuilding "Hawk Tower". Named for the craggy knoll ("tor") on which Robinson sited it and built of granite gathered from the shore of Carmel Bay, Tor House was modeled after a Tudor barn in England. Hawk Tower was his wife Una's retreat and a playhouse for the couple's sons. Jeffers wrote all of his major works at Tor House, which today is operated by a nonprofit foundation that gives tours, sponsors a seasonal reading and performance series, and underwrites the annual Robinson Jeffers Tor House Prize for Poetry. ✦ A railroad cottage in Guthrie, Kentucky, was the birthplace of Robert Penn Warren (1905-1989). That cottage today is the Robert Penn Warren Birthplace Museum, which has on display Warren's books, family photographs, and various childhood possessions, including a set of books on electricity. ✦ The grandfather of Theodore Roethke (1908-1963) was a florist whose greenhouses were behind the poet's childhood home in Saginaw, Michigan. Roethke's father and uncle made the greenhouse business the largest in the state before selling it in 1922. The greenhouses no longer exist but Roethke House, designated a National Literary Landmark in 2004, remains and is open for tours. Read "Michigan Authors: Poet Theodor Roethke Still a Celebrated Figure in Saginaw", MLive, August 24, 2013; and "Dow Employees Volunteer to Renovate Theodore Roethke House in Saginaw", MLive, July 31, 2013. ✦ The notice of the death of Walt Whitman (1819-1892) is nailed to the front door of The Walt Whitman House in Camden, New Jersey. The Greek-revival wood-framed structure, now a state historic site, was the only home Whitman owned. ✦ Frances ("Fanny") Appleton Longfellow, second wife and muse of Henry Wadsworth Longfellow (1807-1882), died in 1861, after her dress caught fire from a candle while she was at home in Cambridge, Massachusetts. The Longfellow House, which was purchased as a wedding gift by Fanny's father, has a notable history. George Washington and his wife Martha lived there and entertained as house guests Benjamin Franklin and John Adams and his wife Abigail. The complete poem is included in Leanne Ogasawara's lovely post "The Sound of the Wind". Today's Saturday Short is a peek at Glen Kalem's film project Kahlil Gibran - The Reluctant Visionary. In his documentary (Elucidate Pictures), expected to be released in 2014, Kalem seeks to reveal the man, the poet, and the visionary and to trace Gibran's worldwide influence. Gibran - The sizzle from Elucidate Pictures on Vimeo. ✦ There are more than 50 works of public art and architecture on the campus of Massachusetts Institute of Technology. With the recent launch of an Acoustiguide Audio Tour offering commentary by artists, scholars, curators, and architects, MIT's List Visual Arts Center makes locating and learning about the collection easier. The guide, whose introduction is provided by actor Leonard Nimoy, is available through the center's Website. ✦ Italian information-design firm Accurat has created a series of annotated timelines for a number of 20th Century artists, including Pablo Picasso, Salvador Dali, Joan Miro, Paul Klee, Piet Mondrian, and Gustav Klimt. The series, "Visualizing Painters' Lives", can be seen on Flickr. Prints of each visual are available for purchase. ✦ The life and work of Canadian artist Emily Carr (1871-1945) is the subject of an excellent virtual feature, including an educational component, from Vancouver Art Gallery. The painter also is celebrated in Winds of Heaven (White Pine Pictures, 2010), available on DVD. The film was awarded a Canadian Society of Cinematographers Award for Best Documentary Photography. 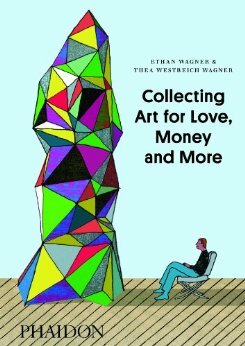 ✦ If you've been thinking about collecting contemporary art, you might want to take a look at Collecting Art for Love, Money and More by art advisers Ethan Wagner and Thea Westreich Wagner. Phaidon, the publisher, offers a peek inside the insiders' guide, which presents 10 topics in Q&A form and includes insights, advice, and illustrated examples. You'll find a video at the link. ✦ Los Angeles-based Tomas Koolhaas is making a documentary about his father, the provocative Dutch architect Rem Koolhaas. Some rough footage from REM is available here. ✦ The online network Independent Collectors has collaborated with arts supporter BMW Group to produce the BMW Art Guide by Independent Collectors, an interactive site offering reports on private collectors, interviews with well-known collectors, art recommendations, and more. ✦ Doug Aiken launched his collaborative Station to Station project September 6, when his train left New York City to begin its three-week trek across the United States. Today, the train should be pulling into Santa Fe, New Mexico. Its next stops are Winslow, Arizona; Barstow, California; and Los Angeles. All those aboard will reach Oakland/San Francisco on September 28. ✭ Begun in Durban, South Africa, and completed at the Museum of Contemporary Art San Diego, Color Field by Liza Lou debuted at MCASD in July. A 20' x 20' sculpture of 32 shades of colored glass beads on small wire supports, Color Field is on view through November 3. Visitors will be able to walk on the shimmering "field" of color. Lou founded a studio collective of Zulu artisans in KwaZulu-Natal, South Africa. ✭ "About Face: Contemporary Portraiture" continues through January 19, 2014, at The Nelson Atkins Museum of Art, Kansas City, Missouri. A look at contemporary portraiture since 2000, and at such themes as race, culture, ethnic class, and gender identity, the show highlights the museum's recent acquisitions. Works by 29 artists from the United States and Canada, England, France, Germany, Russian, Japan, Iran, and South Africa are presented. Complementing the exhibition is Flak Photo's digital presentation, "Making Pictures of People", which is accessible worldwide. 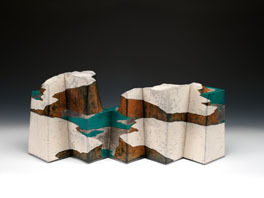 ✭ The Renwick Gallery, Washington, D.C., opens "infinite Place: The Ceramic Art of Wayne Higby" on October 4. The first major retrospective to examine in-depth the artist's work over 40 years, the exhibition will showcase more than 60 ceramic objects and drawings from Higby's own holdings and public and private collections, including that of Arizona State University Art Museum, which was awarded a grant from Windgate Charitable Foundation to fund the exhibition (news feature). Particular attention will be given to the forms, techniques, and firing processes Higby has long used and to his groundbreaking work in raku earthenware and porcelain production. The exhibition, on national tour (it will travel to the Reading (Pennsylvania) Public Museum, Philadelphia Art Alliance, Racine (Wisconsin) Art Museum, and Memorial Art Museum in Rochester, New York) will conclude at the Renwick on December 8. An illustrated, color monograph accompanies the show and will be available at the museum's shop. Highby will talk with Peter Held, curator of ceramics at ASU's Ceramics Research Center, in the Renwick Gallery's Grand Salon on Saturday, October 5, at 2:00 p.m.
✭ If you're lucky enough to be in Venice this fall, do not miss Museo Correr's retrospective of the works of Sir Anthony Caro, considered one of the world's greatest sculptors. The 28 works on view, selected by Gary Tinterow, curator at the Museum of Fine Arts Houston, span five decades. "Caro al Museo Correr", the first major Italian retrospective dedicated to Caro, concludes October 27. Yesterday, in Part I of my two-part interview, Gillian Marchenko shared her reasons for and approach to writing her memoir and first book Sun Shine Down (T.S. Poetry Press, August 2013), the meaning of the title, the audience for the book, and what makes her account stand out from other published stories of parenting a child with Down syndrome. Today, in Part II, Gillian concludes our interview, which was conducted via e-mail, by discussing her feelings on learning that her daughter Polly has Down syndrome, her use of alcohol to avoid her confused and disturbing feelings about her child, what life with Polly has been like since moving beyond the period covered in the book, the most important lesson Polly has taught her, how she regards the sometimes shocking attitudes she encounters, her concerns about special-needs services in America, and her new writing projects. I thank Gillian for her honest and insightful responses to my questions, which I hope encourage others to read and share Sun Shine Down and discuss its important underlying message. Maureen Doallas: Gillian, you write frankly and honestly about your feelings toward your daughter Polly after her birth, which is when you first learn she has Down syndrome. What do you think most influenced those feelings? Gillian Marchenko: What influenced my feelings the most when I first learned Polly has Down syndrome were the element of surprise and the lack of education. I didn't know much about Down syndrome and, upon hearing the news, [I found myself having to deal with] cultural assumptions about disability — more so in Ukraine but also in the United States — as quickly as [facts about] the baby. The Ukrainian hospital where I delivered had no information for us about Down syndrome; nor [did the hospital hold] the belief that our child was worth keeping. My surroundings surely fed into my initial feelings. MD: Do you think your experience after Polly's birth would have been different had you known in advance that your daughter would be born with Down syndrome? GM: I'd like to think our experience after Polly's birth would have been different had we known in advance about her disability. I assume we would have been better educated and prepared, leaving [us] room to welcome the baby and focus on her. MD: Do you advocate for genetic testing and counseling? GM: Genetic testing and counseling can be excellent resources for families. What concerns me is that a good [number] of medical professionals still consider children with disabilities as undesirable and "throw-aways". I advocate for up-to-date, thorough, honest information for families before and after birth. MD: In Ukraine, where your daughter was born, the attitudes you describe toward persons with disabilities might shock some readers. The attention you received from medical professionals post-delivery might be described as "gruff" at best. The culture, as you so clearly portray it, simply doesn't see persons with disabilities. In the years since Polly's birth, have you seen any signs of a cultural shift in perspective? Of any changes you have seen, what have been most positive? GM: I don't believe I am qualified to answer this question, because I have only been back to Ukraine for about seven weeks in the last seven years since Polly's birth. But I have contacts and friends and family there still, and they report that strides are being made. A friend who has a son with autism recently took her family to Kiev to facilitate a conference for families in Ukraine who live with autism. More than 300 people showed up! I'm encouraged that more people seem to be keeping their kids with disabilities, and my husband and I are exploring ways to return to Ukraine to help educate and support people there about special needs. MD: You also expose in Sun Shine Down your vulnerability to alcohol, how you drank to excess to numb yourself to your feelings. How did you finally succeed in breaking the alcohol's hold? GM: Once I realized, through well-meaning friends and a pissed-off pastor-husband, [how much I was drinking and] that [my use of] wine was becoming a dangerous mechanism to escape from my grief, it wasn't that difficult to tone down my consumption. Instead of drinking Chardonnay, I hung out with my husband, went for walks, read the Psalms, took baths. I replaced my wine habit with other things before it progressed to full-blown addiction. I abused alcohol for about six weeks (I have it chronicled in my journal from that time). I could easily have become dependent. Thankfully, I believe by God's grace, I did not. MD: The period of time you cover is tightly focused. In the years you don't write about, what has been your greatest challenge in raising Polly? GM: When Polly was three years old, six weeks after we brought her new sister Evangeline home from Ukraine, she had a catastrophic stroke and was diagnosed with a second syndrome called Moyamoya, a long-term disease that thins the arteries in the brain to the point of [causing] strokes and seizures. Two brain surgeries and six months later, Polly was convalescing nicely and has now been stroke-free for four years. To date, that was the most difficult time raising Polly: I was faced with the understanding that I might lose the baby I didn't want and now didn't think I could breathe without. MD: What is the most important lesson Polly has taught you? MD: Considering your experience and what you and your family have learned, what do you say when you meet for the first time a new mother or father who is the parent to a child with Down syndrome or another disability? GM: I say a lot of thing. Two main ones are: "Congratulations!" and "It is OK if you are struggling with this. Let the baby change you." MD: What concerns you most about treatment and support services or other resources for Americans who are parents of children with disabilities? GM: It depends on the state, the hospital, the doctor, the special education classroom. Overall, I am concerned that up-to-date, relevant information be available about Down syndrome and other disabilities across-the-board. MD: Is there likely to be a sequel to Sun Shine Down? What are your future writing goals? GM: Right now, I am working on two projects. My agent is waiting on a book proposal and sample chapters about my personal struggle with depression as a pastor's wife and a missonary. With this project I hope to convey that just because people of faith struggle doesn't mean they are not people of faith. I also have written about 60 pages of Evangeline's story. [Evangeline is Gillian Marchenko's adopted daughter with Down syndrome; Gillian introduced Evangeline in the Epilogue of Sun Shine Down.] I hope that those who love Polly's story will one day get to read Evangeline's as well. 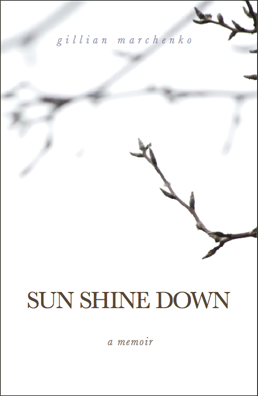 Sun Shine Down is available in print and for Kindle. Recipient in 2012 of The Ethel Herr Most Promising New Writer Award*, Gillian Marchenko writes and speaks about and is an advocate for the needs of individuals with special needs. Her writing has appeared in Today's Christian Woman, Thriving Family, Connections Magazine, Chicago Special Parent, Charlottesville Family, and other publications. Gillian lives in Chicago with her husband Sergei and their four daughters. Each of us carries within us what writer Mark Nepo has called "a map of expectation as to how we should respond" — to need, to want, to confusion and pain, to loss, to love. The "endless gravities" of expectation, Nepo says, "govern most of our thinking and summon most of our energy in denying them or complying with them." A mother expects to love the child to whom she gives life. What does she do if she cannot or does not? In her recently published memoir Sun Shine Down (T.S. Poetry Press, August 2013), Gillian Marchenko relates, sometimes with the rawest of emotion, how expectation collided with reality when she learned she had given birth to a daughter with Down syndrome. Her story is not like that of "other mothers who have children with disabilities, and right away they loved them." It is instead the story of experiencing — and being surprised by — the failure to "feel love at first sight". The very fact of this particular difference is what makes Marchenko's account so memorable a read, her honesty so refreshing, and her self-discoveries so life-changing. After reading Sun Shine Down, I wanted to know more about this writer and the person behind the words and arranged an interview via e-mail. In Part I, below (remarks have been edited), Gillian answers my questions about her reasons for writing her memoir, which is her first book; her writing approach, the audience for the book, and what makes her story stand out from the stories of other mothers and fathers who also have written about their experiences of parenting a child with Down syndrome. Tomorrow, in Part II, Gillian discusses what influenced her initial feelings toward her daughter, her use of alcohol to escape and numb those feelings, her greatest challenge in raising her daughter in the years not covered in the book, and what she tells others who are living with family members with Down syndrome. She also talks about her next writing projects. I thank Gillian for her thoughtful and insightful responses, which I hope will encourage readers not only to read and share Sun Shine Down but also discuss its important underlying message. Maureen Doallas: Sun Shine Down is a deeply personal first book. What motivated you to write your memoir at this particular time in your life? 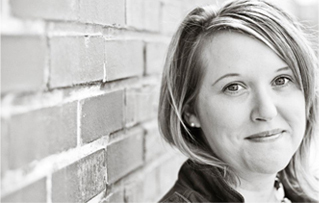 Gillian Marchenko: E.M. Forster said, "How can I know what I think till I see what I say?" I am a life-long journal-keeper but after the birth of my third daughter [Polly] and her diagnosis of Down syndrome, writing became necessity. The first year of [Polly's] life, I wrestled on the page a hallowing grief over the child I expected and the mother I was to become. My journaling delved deeper as my daughter grew. Images, situations, and details bobbed to the surface of my conscience. A fear of brokenness — broken people, broken things, and, ultimately, my own broken heart — had been tucked inside me since childhood. I wrote, and a thought nagged: Perhaps these words are meant to be read by others. MD: Tell us a bit about your approach, from draft to publication. Did you ever imagine telling your story as other than memoir? Did you read other first-person accounts on the subject before sitting down to write about your own experience? What did you first think to include but subsequently excise, and why? What was the best piece of writing advice you received? First, my approach: With a nod of approval and support from my husband and children, I began molding my journal entries into chapters. The story oozed out of me, and I found great comfort and joy in the process. The book took four years to write, with the help of [members of] an advanced memoir writing workshop, who critiqued a lot of it, and two professional editors who worked with me on the first and second drafts of the manuscript. Once finished, I began the arduous task of querying agents, entered writing contests, and attended writing conferences. I won The Ethel Herr Most Promising New Writer Award* 2012, at Mount Hermon Christian Writers Conference in California, which helped to get my name out in the Christian publishing world. A couple [of] months later, after submitting part of my manuscript for review at the Festival of Faith and Writing, in Grand Rapids, Michigan, I landed my agent. I submitted my proposal to publishing houses for about a year before signing with T.S. Poetry Press. I never considered telling my story in any other genre but memoir, although I probably should have, because it seems everyone wants to write memoir and [memoirs] are hard to get published. I do and did read other first-person accounts about Down syndrome. A couple of my favorites are Expecting Adam by Martha Beck, Roadmap to Holland by Jennifer Groneberg, and A Good and Perfect Gift by Amy Julia Becker. I wrote three drafts of Sun Shine Down. In the first two drafts, my spiritual journey to faith and Ukraine [where Marchenko was living when her daughter was born] were included in the narrative but eventually weeded out to focus solely on my daughter Polly's story. The best piece of writing advice I've received? I'd say, "Be bold enough to join a class or share your work with others." My writing grew immensely once I shared it with a memoir class in Chicago. I am still in a writing group with select members of that [class]. It makes all the difference to my writing—[having] others' eyes on my work. MD: The title has multiple meanings. Did you consider other titles? What was the deciding factor in your final choice? GM: I love that you picked up on the fact that Sun Shine Down has multiple meanings: the sun is shining down and the sun has fallen. The duality is what makes the story. 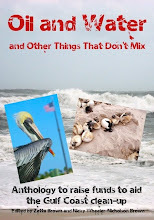 I had a working title I was pretty connected to before signing with my publisher. [The publisher] eventually offered three alternatives and checked with [prospective] readership for opinions. Although it was difficult to do away with my working title, I absolutely love the title now. I can't imagine [the book] being called anything else: Sun Shine Down, a memoir. MD: Is there an ideal audience for Sun Shine Down? Apart from other parents raising children with Down syndrome, whom do you hope your readers will be? What do you expect the takeaways to be? GM: I think this book will resonate with all sorts of people. Of course, special needs parents, but also anyone who has been taken by surprise in life. And who hasn't?! The takeaways could be many things, such as "love, if you let it, finds its way through cultural stereotypes, medical difficulties, and any number of other barriers." The main takeaway depends on the reader. The essence of Sun Shine Down is this: I didn't want my baby with Down syndrome and now I can't imagine life without her. MD: What makes your story stand out from other books written by parents of children with Down Syndrome; for example, Michael Berube's Life as We Know It, or, more recently, Rachel Adams's Raising Henry? GM: [The books by] Berube and Adams are on my reading wish list. I have read other books authored by parents of children with Down syndrome, like [the three titles mentioned earlier and] The Shape of the Eye by George Estrich and Bloom by Kelle Hampton. These books share [with mine] a similar story arc, starting with grief and ending with acceptance. Sun Shine Down stands out because the birth story takes place in the former Soviet Union. Although I went to various outside sources to learn to love Polly — culture (moving back to the United States in the hope that a more accepting culture would make the difference), alcohol (as an escape and a "boost"), and religion ("she is a gift, she is for a divine reason") — none worked completely. It was Polly, Polly the person, who showed me that love is deserved simply because she is lovable. My story is not deconstructing disability but deconstructing the ways that a parent comes to grips with [personal feelings about] a person who is not who she expected to raise. My editor Sandra Savage and I were in agreement from the start that we didn't want to lose this focus of the book. Join me tomorrow for Part II of my interview with Gillian Marchenko. Recipient in 2012 of The Ethel Herr Most Promising New Writer Award*, Gillian Marchenko writes and speaks about and is an advocate for the needs of individuals with special needs. Her writing has appeared in Today's Christian Woman, Thriving Family, Connections Magazine, Chicago Special Parent, Charlottesville Family, and other publications. I offer this poem for this month's tattoos theme at TweetSpeakPoetry and Every Day Poems. deep dark roots we cannot bury. 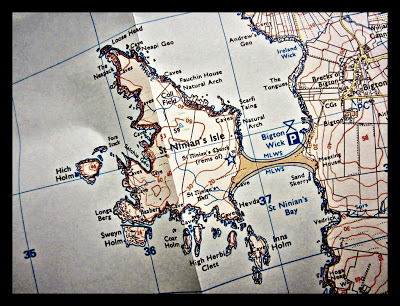 This poem is offered for the writing prompt at Magpie Tales: the image of a map of the fascinating St. Ninian's Isle, where a hoard of treasure was found in 1958. Go here to read others' contributions to the prompt or to drop the link to your own poem or flash fiction.
. . . in whatever way seems best. It is a chance for me to be of service. Tami Haaland is Montana's new Poet Laureate. The successor to Sheryl Noethe (2011-2013) and only the fifth person to be appointed to the office, Haaland will serve two years, until August 1, 2015. A brief overview of the honorary (unpaid) two-year position and a list of resources are provided in my earlier post on Henry Real Bird (2009-2011). Additional information is here. Haaland has indicated in interviews that in addition to continuing existing literary programs, she intends to look for ways to improve outreach to communities throughout the state and to increase the number of poetry and creative writing education workshops available to citizens of all ages, especially youths. She also plans to facilitate efforts to create a Montana speaker's bureau program under the auspices of Humanities Montana. 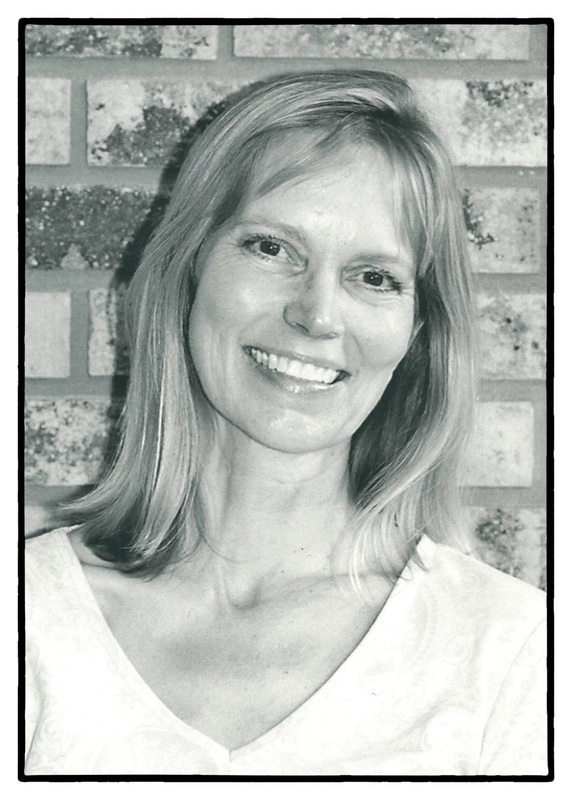 Montana-born poet and essayist Tami Haaland has published two poetry collections: When We Wake in the Night (WordTech Editions, 2012) and Breath in Every Room (Story Line Press, 2001). The former was a finalist for the May Swenson Poetry Award; the latter was awarded Story Line Press's Nicholas Roerich First Book Prize (Nicholas Roerich Museum Poet's Prize). Browse the titles of Haaland's poems — she is an observer and a namer — and her subjects become readily apparent — coming-of-age, marriage, family and other relationships, pregnancy and motherhood, childhood sports, work and daily tasks, nature and Montana's landscape, memory, experience — however, while ordinary life, stakes a large claim in her generally spare poetry, Haaland also works, as in her debut collection, the stuff of dreams and myths and place. She takes on "hard" subjects, such as suicide and loss of a child, but also can be drawn to the humorous. Haaland employs in her work narrative and other styles and a variety of forms, such as concrete poetry (for example, Haaland wrote a poem that appears visually in the shape of a triangle); use of different forms, she has said, helps her to expand "the range of [her] writing". *** To give her work depth and promote understanding and exploration of the possible range of emotion and experience to be shared, both the particular and the universal, she assumes in her poems the voices of her narrators. life without it was impossible. Haaland's work has appeared in numerous literary magazines and periodicals, including 5am Magazine, American Life in Poetry, Calyx, Clackamas Review, Florida Review, Journal of Feminist Studies in Religion, Letters to the World, Petroglyph, Platte Valley Review, Rattapallax, South Dakota Review, Stymie: A Journal of Sports and Literature, Verse Daily, and The Writer's Almanac. It also has been anthologized in such collections as New Poets of the American West (Many Voices Press, 2010), Ring of Fire: Writers of the Yellowstone Region (Rocky Mountain Press, 2000), Cowboy Poetry Matters (Story Line Press, 2000), Poems Across the Big Sky (Many Voices Press, 2006), The Last Best Place: A Montana Anthology (University of Washington Press, 1991), The Ecopoetry Anthology (Tupelo Press, 2013), and Literature: An Introduction to Fiction, Poetry, Drama, and Writing, 12th Edition (Longman, 2013). Haaland's essays have been published in Drumlummon Views (Drumlummon Institute) and State of the Arts and anthologized in Reading Montana Poetry and Mythology and Modern Women Poets: Analysis, Reflection, and Teaching. A professor of English at Montana State University at Billings, Haaland also teaches writing at Montana Women's Prison and in a writing-in-the-schools program for Arts Without Boundaries. She is on the board of several arts and literary groups and, in addition to teaching and public service initiatives, takes part in slam poetry events, readings, and literary festivals. Haaland, who co-founded with Russell Rowland Stone's Throw Magazine, is the recipient of awards from the Montana Arts Council, which presented her with a 2011 Artist's Innovation Award, and Humanities Montana, which named her a "Humanities Hero". Haaland read a number of poems ("She Eats an Apple as the Salamander Observes", "First Trimester", "How Pennies Cry When They Get Lost", "The Idea of Order", "Lipstick", "Catalog Shopping", "July 3", "Goldeye, Vole", "Meeting Valemon", "Chocolate", "Not Scientifically Verifiable", and "In the Sky Over Water") at Bookfest 03 (Library of Congress National Book Festival, 2003). Go here for the Webcast and a downloadable transcript.